Rivaroxaban plus aspirin improves survival and reduces stroke and heart attack in patients with stable coronary or peripheral artery disease, according to results from the COMPASS trial presented at the European Society of Cardiology Congress in Barcelona. Aspirin is the single most widely used treatment to prevent strokes and heart attacks, but is only modestly effective. Published in the NEJM, the COMPASS trial tested two possible ways to improve on aspirin, by using the combination of rivaroxaban and aspirin, or by using rivaroxaban alone, to protect against heart attack and stroke in patients with stable coronary or peripheral artery disease. The trial randomised 27,395 patients from 33 countries in North America, South America, Asia, Western Europe, Eastern Europe, South Africa and Australia. The treatments tested were rivaroxaban 2.5mg twice daily plus aspirin 100mg once daily and rivaroxaban 5mg twice daily, each of which were compared to standard therapy with aspirin 100mg once daily. 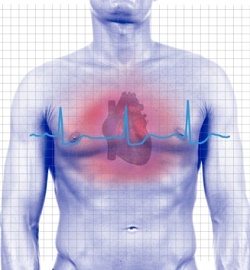 The primary endpoint was a composite of cardiovascular death, stroke or myocardial infarction. The data indicates that for every 1,000 patients treated for an average of 23 months, rivaroxaban plus aspirin prevents 13 heart attacks, strokes, or cardiovascular deaths, and seven deaths from any cause, at a cost of 12 major bleeds, most of which were readily treatable. The benefits of the drug combination were achieved in patients in whom lipid-lowering and blood pressure-lowering drugs, and angiotensin converting enzyme (ACE) inhibitors were widely used.